Articles Comments Off on Our TopTots! Pregnant women often find that backache is a problem. Higher levels of progesterone cause softening and stretching of the ligaments, particularly in the pelvic joints. The ligaments supporting the spine also relax putting extra strain on the muscles and joints of the lower back. Bad posture will also contribute to backache. 1. Good posture and exercises to strengthen the spine. 2. Wear low healed or flat shoes. 3. Make sure that your mattress is firm. 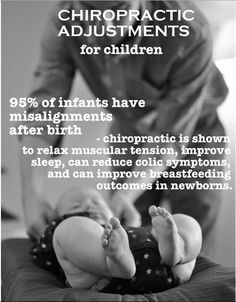 Chiropractic manipulation and massage will offer you relief to you and your baby by safely realigning the spinal and pelvic joints. 1. The more supportive the mattress, the better. This means firm, but not hard. If your bed is too hard, use a memory foam mattress topper. 2. Sleep in the foetal position on your side. Put a pillow between your knees to take the pressure off your lower back and prevent your pelvis from rotating. Your head should be in line with the rest of your body ie not higher or lower. 3. If you sleep on your back, place a pillow underneath your knees – it will take the strain off your lower back..
4. A supportive pillow under your neck is vital to maintain the normal cervical curve. Sleep on your stomach! Significant strain will be placed on your neck and lower back! The best way to get out of bed is to turn onto your side, and then sit up sideways, using your arm to help you. While the brain is protected by the skull, the spinal cord is more vulnerable. All nerves from the brain travel down through the vertebrae, branch off and pass through openings along the spine to get to their destinations. 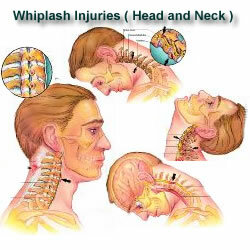 Stress, trauma or chemical imbalances can cause vertebrae to lose their normal position or motion and irritate the nervous system.This disrupts the functions of the tissues or organs those nerves control. 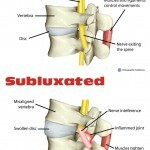 This is called the vertebral subluxation complex. 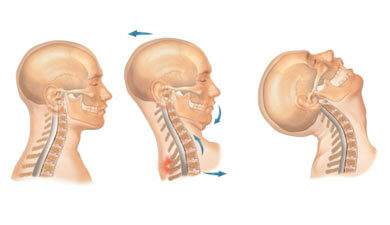 Your chiropractor is primarily interested in detecting, reducing and preventing the vertebral subluxation complex. 1. Most patients start with the initial intensive care phase. Frequent adjustments may be required in order to relieve your symptoms and reduce stress damage to the spine and nervous system. 2. In the rehabilitative phase, adjustments are peformed less frequently and alignment is monitored allowing for more complete healing to occur, even though symptoms are often absent at this stage. 3. The maintenance phase is similar in principle to periodic dental or eye check-ups. In this way, minor problems can be detected and corrected before they become major concerns. Patients who prefer “wellness care” over “crisis therapy” choose this type of care to maintain optimum function. Does your baby have ……. …….inexplicable and uncontrolled crying for more than 3 hours a day, more than 3 days a week for 3 weeks or more, usually in the afternoon and evening hours? …….inability to be comforted by picking up, changing nappy or giving food? …….does your child pull their knees into their chest and always clench their hands into fists? …….does your child tilt or turn his head to one side? …….does your child cry when put into certain positions? …….does your child have difficulty feeding from the one side? Then YOUR child could have COLIC. Stresses increase with quick or prolonged labour or if the baby is positioned incorrectly. Assissted delivery using forceps, vantouse suction and caesarean sections can also add to the stresses.These stresses and injuries can result in the tightening of muscles in the baby’s spinal column which can cause the vertebrae to lose their normal motion. This can in turn irritate or put stress onto the nerves that branch out from the spinal cord which supply the various organs and tissues of the body. Pregnancy will give you that maternal glow, a whole new wardrobe, and quite likely, an aching back! But help is available. There are few things in life that put more stress on your spine than pregnancy. Your spine must adapt to posture and weight changes with each passing month and commonly the uncomfortable result is lower back pain. Women come to accept this as a normal part of pregnancy, but it doesn’t have to be. 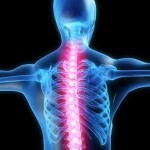 A chiropractor is trained to locate and correct the problems causing the back pain. Your chiropractor has special techniques and equipment that will help make you comfortable no matter what stage of pregnancy you are in. Call a chiropractor today and obtain relief from that aching back so your pregnancy will be as enjoyable as it should be! If you think. . . Headaches can strike with little warning and cause unbearable pain and discomfort. Headaches are among the most common physical complaint, with 57% of men and 76% of women reporting at least 1 bad headache per month, prompting people to treat themselves or get professional help. 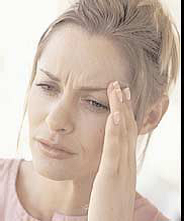 Most people (90%) get tension type headaches and nowadays with our stressful lives, it’s often. It’s normally pain on both sides of the head that is tight, stiff and constricting – like having something wrapped around your head that’s pressing tightly. Is your headache a pain in the neck? Significant research shows that chiropractic care is effective and safe for reducing the frequency and severity of tension headaches. 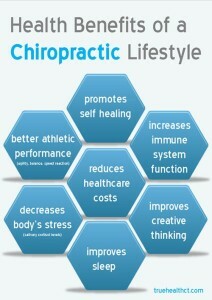 To find out more about these benefits, schedule a full evaluation with your chiropractor. If your neck is causing your headache, then regular chiropractic care might be what you need. Recent studies indicate that training school children in beneficial postural habits and exercises can be helpful in facilitating postural improvement. This is very encouraging because in today’s sedentary digital culture, many children spend long hours of school and recreational time in stooped awkward postures that have been correlated with poor spinal health in several studies. Other recent research indicates that the spinal health of adolescent students has been worsening over a ten year period. To combat this trend just as the dental profession educated and empowered the public to care for their dental health daily, we are now launching an initiative to educate, empower and mobilize the public to “Straighten Up” and care for their posture and spinal health daily. 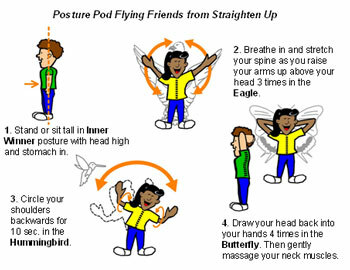 Straighten Up and Move is worldwide health initiative geared to improve the posture, structural development and self-esteem of our youth and all of our citizens. The vision of Straighten Up is very simple: we envision a day when everyone performs a short enjoyable spinal exercise module daily just as we brush our teeth.